President of the Green Party Solomon Islands and candidate for the Gao-Bugotu Constituency, Ernest Kolly, is driving a development policy remarkably different to the other parties. Think Big Start Small aims to set realistic and sustainable development goals that will bring prosperity for all Solomon Islanders, not just a few. Kolly brings to the table decades of experience working in and teaching environmental health. “Development policy within the country’s 50 constituencies must appropriate for the community, sustainable for the environment and utilising available resources to kick-start projects. Kolly takes inspiration from an initiative underway by the youths of Poro village in Gao-Bugotu Constituency venturing into a solar-powered fisheries project. Kolly advocates protecting Solomon Islands forests from logging activities, and embracing eco-tourism and carbon trading as the way of the future. Kolly said the amount of money that Solomon Islands would gain from conserving its forests would triple the amount derived from logging in 10 to 30 years and therefore the country should seriously consider embarking on carbon trading before its forest resources are further depleted. GPSI will be be running Ernest Kolly in Gao/ Bugotu constituency, Redlee Ausopa in Maringe/Kokota constituency, and Ruddy Oti contesting Temotu Nende province. Greetings from the Pacific. The Solomon Islands is no exception to the impact of climate change. It affects the health of the ocean and human health. The storm of massive challenges facing small island nations like the Solomon Islands encompasses collapsing fisheries due to the impact of climate change, plastic waste pollution, ocean warming and ocean acidification. Our location within the Pacific Rim of Fire means we are prone to natural disasters and these too affect the ocean and our livelihood. As well, there is Illegal, Unreported and Unregulated (IUU) fishing, logging and mining companies causing sediment run off into the ocean and the reefs; population increase resulting in unsustainable harvesting of our marine resources. And of course, pollution — plastics, waste oil from vessels and so on. Green Party of Solomon Islands General Secretary, Charity Maitau Kaitfiti, recently travelled to Australia, as the Solomon Islands delegate for the Asia Pacific Greens Study Tour. Charity spent time in Brisbane, Byron Bay and Sydney, learning from experienced Greens campaigners about election strategy and policy development. Charity also spent time learning the ropes at New South Wales Parliament House, working with David Shoebridge, Member of the Legislative Council. Charity’s new knowledge and experience will help prepare GPSI for running in our first elections. 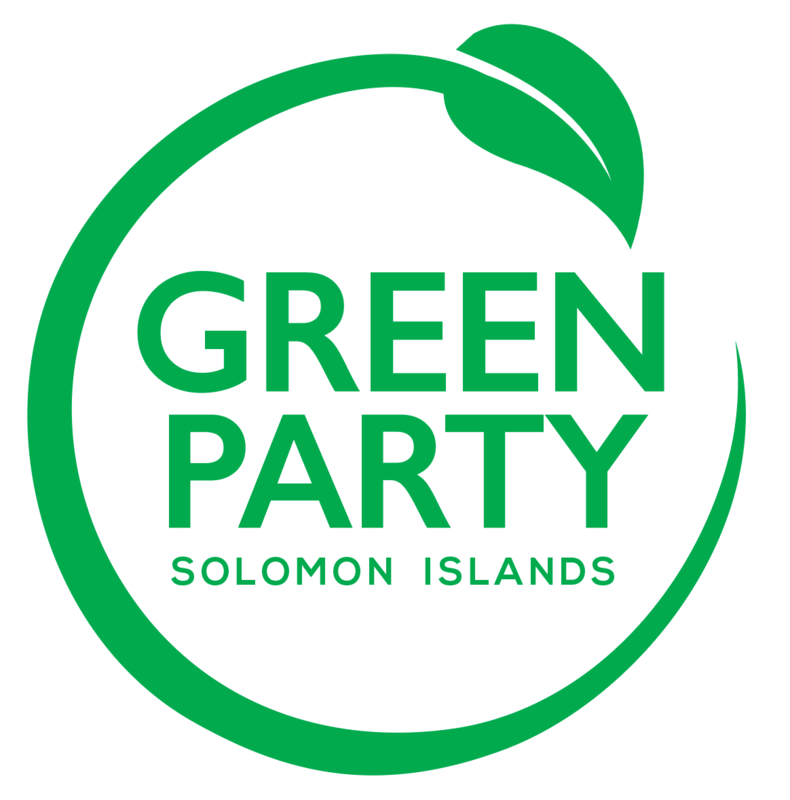 The newly appointed Political Parties Commission met in Honiara, 31 December 2018, to consider the application of the Green Party and United Party. The Commission has approved the application of the Green Party Solomon Islands and United Party having satisfied all the requirements of the Political Parties Integrity Act 2014. The national election is expected to be held in March this year. Join us in campaigning for Green values – ecological sustainability, democracy, justice and equality – sign up here.